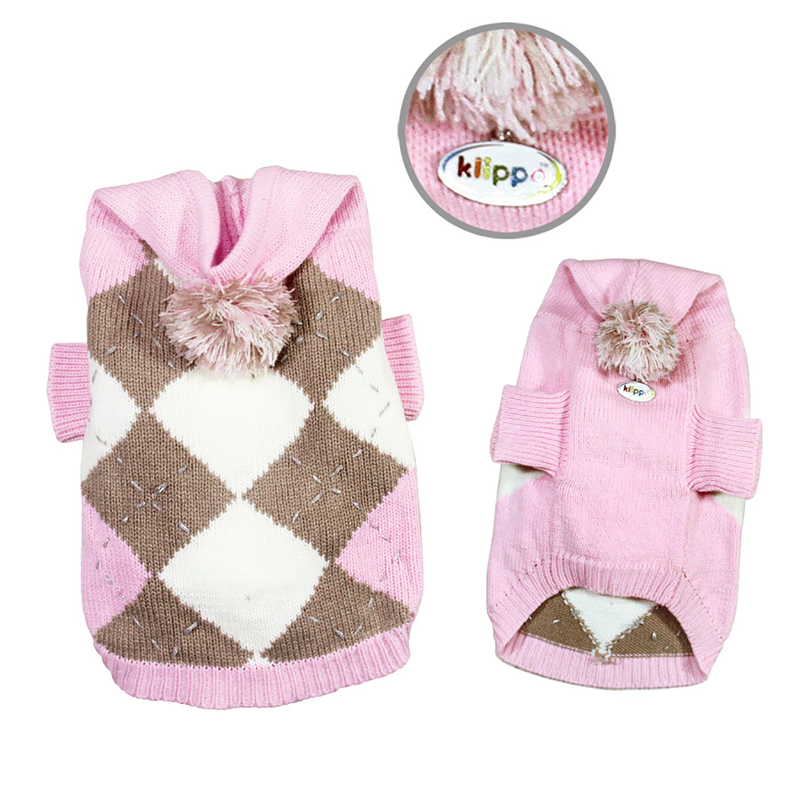 Bundle your dog up in a classically stylish Argyle Pattern Hoodie Dog Sweater from Klippo in Pink! Argyle Pattern Hoodie Dog Sweater from Klippo - Pink Customer Photos - Send us your photo! Love the designs and feels so soft. Material is threaded. It comes with a klippo name brand designed charm. I wanted to exchange some pf my order for the same like kind product, but I was told to return, then place another order. Its just seems like too much work.